So let’s face it: we all love treats, young and old, animal or human. A treat every now and then just makes us a little happier. With 2 older Chihuahuas (ages 12 and 13) and a great dane with allergies, I’m a little picky about what treats I will provide for them. It’s impossible to have a treat that one can’t eat, as the one who isn’t supposed to have them always manages to get them regardless of my intentions. Sometimes I think they scheme. Actually, I’m always convinced they scheme. 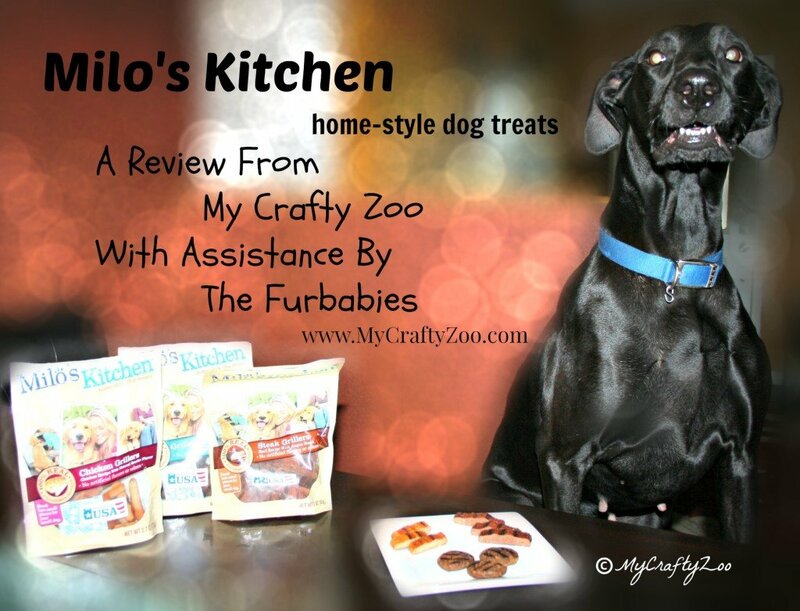 Milo’s Kitchen® Home-style Dog Treats believes dogs deserve treats made with the same quality of ingredients and care that you want for your food. That’s why we made a treat truck just for dogs! Each recipe is carefully prepared to bring out all the flavors your dog loves. 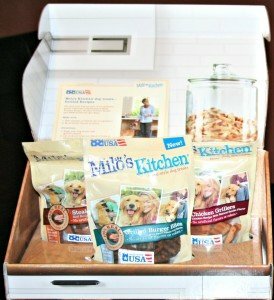 Milo’s Kitchen makes a unique line of mouthwatering varieties for your dog including: Chicken Meatballs, Beef Sausage Slices with Rice, Steak Grillers Recipe, Chicken Grillers Recipe, Grilled Burger Bites, and Chicken Jerky Recipe. Click here to find a Treat Truck near you! Milo’s kitchen provided treats and a $25 gift card for both me and a winner. As well as the information listed above. This did not influence my opinion in any way. Thanks & Enjoy!